Let’s be honest. When we think of jewelry, we think: “Expensive.” We’ve all heard the old adage: “You get what you pay for,” and in some cases that can be true. Each jeweler is different, and when you shop at a value oriented store like Arden Jewelers, you should get a little more than you pay for. But, quality jewelry isn’t cheap, and the high prices of gold, diamonds, and platinum don’t help either. There are, however, some special cases where, if you know what you’re doing, you can save a little money and still wind up with a great piece of jewelry. We’ll show you how. Here is a classic way to save on a nice jewelry gift. 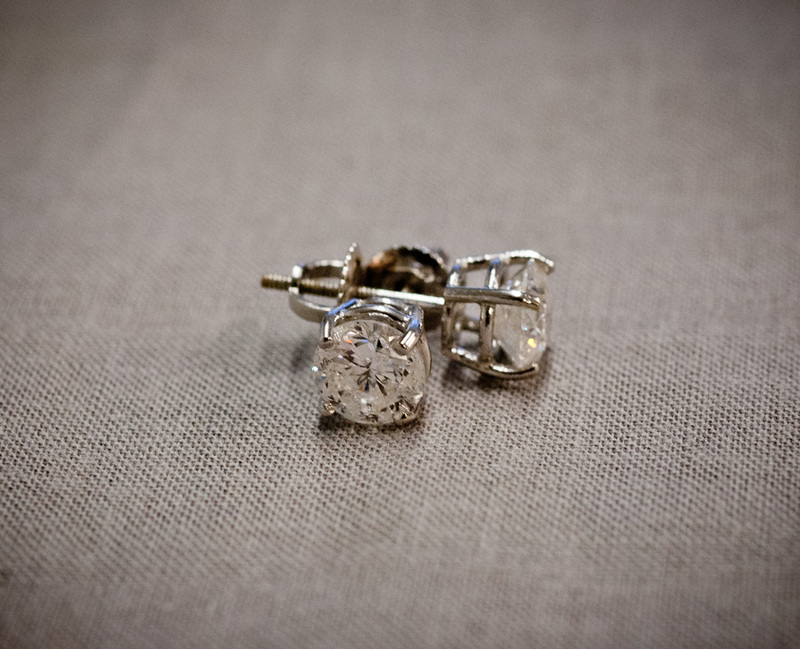 You can get away with a much lower quality diamond in earrings than you would want to put in a ring. Why? Because (normally) people don’t get nearly as close to look at your earrings than they do to look at a ring. So, while you might want to stick with SI2 or better clarity for your engagement ring, you can go with an I1 or even I2 diamond for much less in earrings. The savings can be huge. Years ago, anyone could spot the difference between a freshwater and saltwater pearl from a mile away. 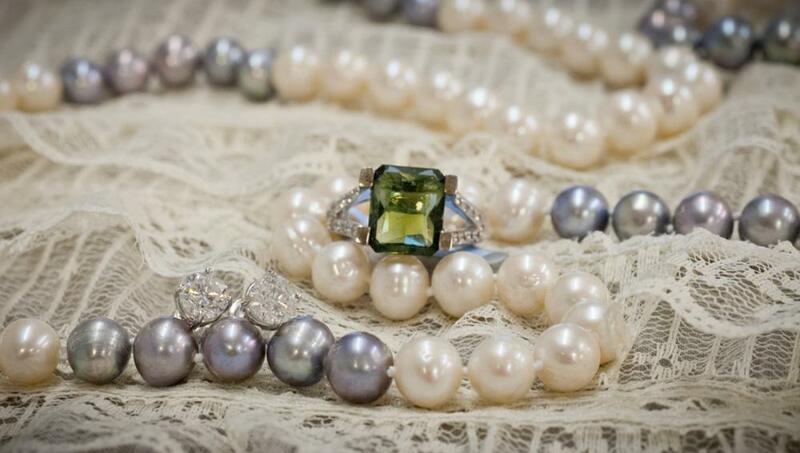 Saltwater pearls are much more expensive and considered to be of higher quality. 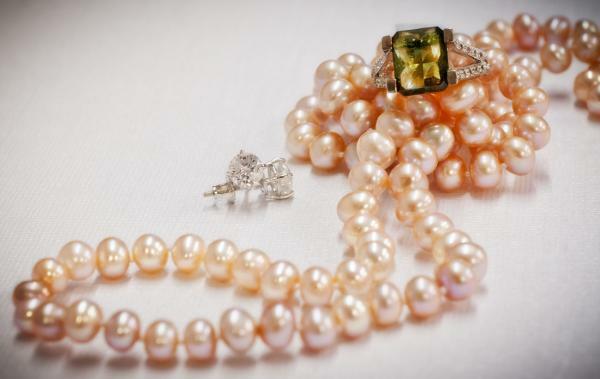 However, nowadays, freshwater pearls have improved considerably and it takes a trained eye to tell the difference between them and their far more expensive saltwater cousins. Of course, nothing quite matches the elegance and classic beauty of a strand of high-end saltwater pearls, but if you’re on a budget, you can get a very similar look for significantly less. With the high price of gold, more people are turning to silver as an alternative metal for fine jewelry. You can find high quality pieces set with precious gemstones in silver for very reasonable prices. 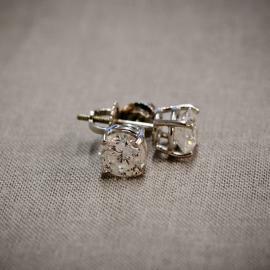 Our Asteria line features many pieces in silver with white sapphire accents, for example. Keep in mind though that sterling silver is much softer than 14k or 18k gold. This means that it will generally wear faster, and anything with a tension based clasp (like a fold over or a box clasp) will need much more frequent adjustment. Small nicks and scratches will show up sooner on silver than on gold. Another concern is tarnishing. There are new, tarnish resistant silver alloys, and most silver jewelry is plated to help stave off tarnishing, but it will still tarnish to some degree over time. Many people find the tarnished look appealing, so this isn’t necessarily a bad thing. But it’s good to know what you’re getting into ahead of time. There are some pieces of jewelry you do not want to try too hard to save on. The most important one is your engagement ring. Now, I’m not saying you should only buy a flawless diamond set in platinum. Instead, find a good balance between diamond quality and size in your budget. Don’t skimp on the ring. The engagement ring has to securely hold your valuable diamond for years of violent loving wear. Get a quality ring from a reputable jeweler who will be able to maintain and refurbish the ring as it wears. In general, you can’t go wrong with 14k gold, 18k gold, or platinum in a nice, sturdy mounting. Looking for a great deal on quality jewelry? Visit us today, or shop online, or checkout our Etsy shop. Have some other ideas for saving on jewelry? We’d love to hear them, so why not leave us a comment below?